Going car-less still isn’t for everyone, but it has never been easier or cheaper. Ben Aveling explores some four and two wheel alternatives. Sydney residents have never had so many ways to enjoy the convenience of a car without having to own one. GoGet, GreenShareCar, Hertz 24/7 and Car Next Door are just some of the companies competing with traditional car hire firms. Unlike traditional car hire compa­nies, car share companies allow you to rent a vehicle for periods of as little as an hour and they have vehicles parked near to where you live. Each car has its own reserved parking place. Members use the internet or the phone to book cars, which they lock and unlock using a swipe card or other similar device. Fees vary from company to company and can include: a joining fee, a refunda­ble deposit, a monthly fee, an hourly fee, a per-kilometre fee and surcharges for some vehicles. 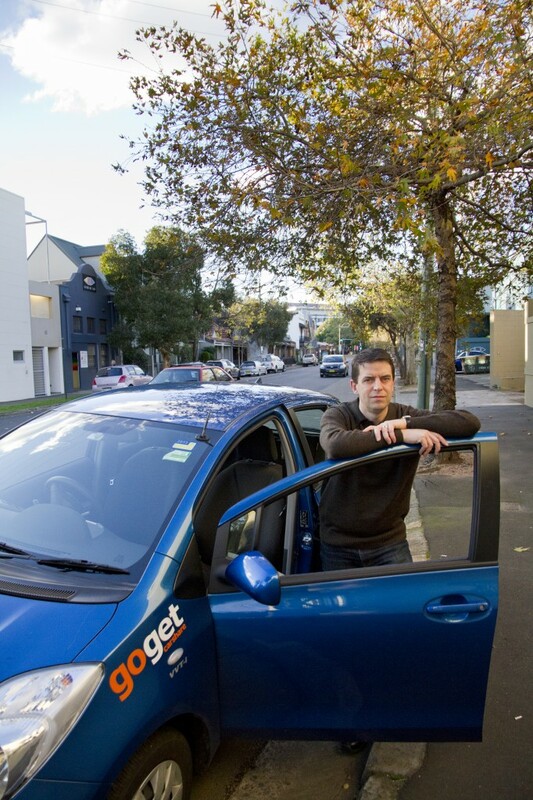 Despite all these possi­ ble fees, car sharing can be considera­bly cheaper than owning a car. By one estimate, the cost of owning a $20,000 car, including depreciation, interest charges, insurance, registration, and running costs, can be as much as $6,500 a year. In contrast, using a share car for four hours a week for a year could cost around $1,600. Each car share firm has its own range of cars, typically including small cars such as a Toyota Yaris, small station wagons, such as the Hyundai 130i but also vans, utes, and premium cars such the Toyota RAV4 and the Audi A1. Only GoGet allows pets, provides child seats, or permits learners, and only in some of its cars and none of these firms allow smoking in their cars. GoGet has by far the most cars, and will therefore be the most convenient for many people. Car Next Door differ from the other car share firms in that they don’t own their own cars. Like Airbnb, they have borrowers and owners. Owners rent their cars to borrowers and Car Next Door takes a cut. Instead of swipe cards, the car keys are left in a box on the side of a car, and unlocked via a PIN number delivered via SMS. Car Next Door have the widest range of different cars, and perhaps the cheapest rates. Another alternative to Car Next Door is Drive My Car which has a similar model of borrowers and owners, but focuses on car hires of at least 7 days. All of these car share companies allow you to not own a car but still have one when needed; or to own a car and have occasional access to a second car or a range of different types of motor-vehicles when needed. Where car share doesn’t work well is for people who regularly use their car for more than a few hours a day, for example people who drive to work. If a vehicle is used for more than about 12 hours a week, the higher cost per hour of car share will outweigh the higher fixed costs of car ownership. Newtown, The Green Living Centre Bike Library hires not just conventional bikes, but also cargo bikes and bike trail­ers, many with ‘electric assist’. There is a small joining fee. Bikes are free for up to three hours or are $10 a day or $20 for a weekend. There are cargo bikes and trailers that are designed for carrying small children, and there are bikes and trailers that are for carrying small loads. A week’s shopping, or more, is certainly manageable. Electric assist doesn’t mean that the rider doesn’t need to pedal, though such bikes do exist. Electric assist means the rider doesn’t need to pedal as hard, making longer trips and heavier loads more practical than they would otherwise have been. Councils provide these bikes and provide car-share companies with cheap (but not free) permanent car-parks because doing so reduces total demand for parking. While car share schemes permanently use car spaces, car sharing means that some people don’t own a car, or don’t own a second car. This frees up more car spaces than are used by car share companies. Another motivating factor for inner city councils concerned about congestion is that car share members drive less than car owners, even though they pay less to drive. The explanation is that if you own a car many of the main costs of ownership are fixed – regardless of how many or how few kilometres you drive, the car will still depre­ciate, and interest, insurance, registration and other costs will still need to be paid. Under the car share model, the cost of using the vehicle is more visible, and the cost is per trip, encouraging car share members to drive less. There­fore, car share members do more shopping locally and are more likely to use public transport, or to walk, or to cycle. Car sharing isn’t for everyone, but for anyone who has a car that is only used occasionally, it is well worth exploring. ◄ Will WestConnex take its toll?